Clean lines and an integral apron create a comfortable bathing experience. 16.5-inch step-over threshold for easy entry and exit. Standard size simplifies installation in remodels. Wide ledges for extra storage space. Capturing the elegance of a bygone era, this Devonshire drop-in bath is reminiscent of old-world design. High-quality acrylic construction ensures durability and luster, and a palette of KOHLER colours is available to complement any dicor. This bath is suitable for installation with a left- or right-hand drain. Also available in store by special order only see store for details. Made of ultra-durable enamelled cast iron, the Highbridge bath features graceful lines that coordinate with most decors. The recessed apron reduces your step-in distance, making it easier to enter and exit the bath, and for parents to bathe children. A low step-over height accommodates bathers of all ages. 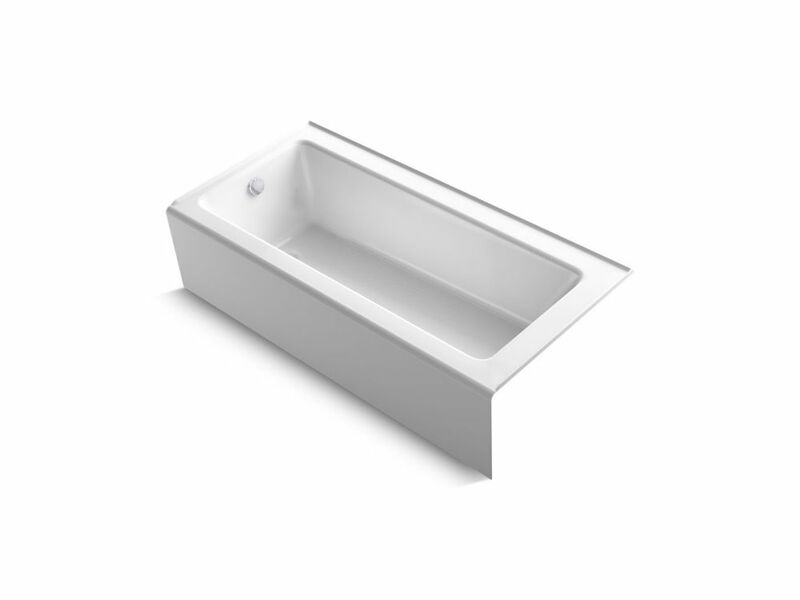 Bellweather 66 Inch X 32 Inch Alcove Bath With Integral Apron And Left-Hand Drain, White An update of a bestseller, Bellwether features a clean, contemporary design in a popular, industry-standard size. Its integral apron simplifies alcove installation, while a low step-over threshold allows for comfortable entry and exit. Bellwethers wide ledges provide storage space for towels, toiletries, and other items. Crafted from enameled cast iron, this bath offers years of reliable performance.